Which Brooklyn Council Members Were Appointed Committee Chairs? 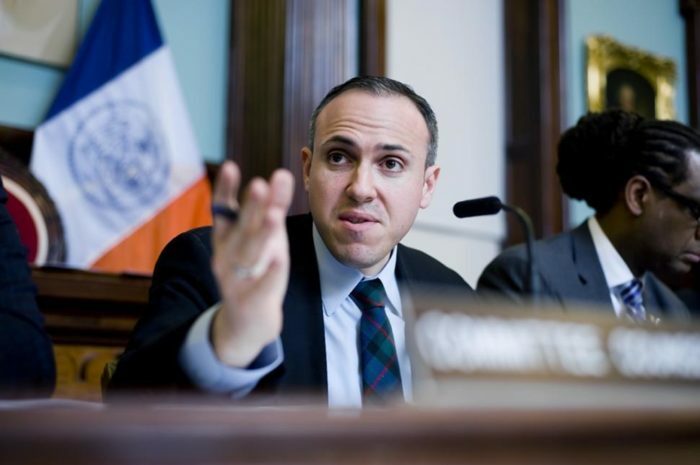 Former teacher Mark Treyger was named chair of the NYC Council’s Education committee Thursday. Photo: NYC Council. Newly-installed speaker Corey Johnson unveiled his picks for chairs of the New York City Council’s many committees on Thursday in a move that will impact the body’s direction for the next four years. In addition to chair appointments, Johnson announced his leadership team and assigned the Council’s 51 members to committees for the new legislative term. For some Brooklyn politicians, the selections mean higher status and more influence. Laurie Cumbo of Crown Heights, a strong ally of Johnson, was named majority leader in the Democrat-dominated body. Joining her on the expanded leadership team from Brooklyn will be Council members Robert Cornegy Jr., Rafael Espinal, Brad Lander, Carlos Menchaca, Antonio Reynoso, Mark Treyger and Jumaane Williams. Cornegy was also given chairmanship of the Housing and Buildings committee after chairing the Small Business committee in the last term. Mark Treyger will take over the Education committee, moving over from Recovery and Resiliency, which was removed from the committee list. Chaim Deutsch, who did not chair a committee last term, will be in charge of the Veterans committee. Most other Brooklyn council members were able to keep the same chair positions. Inez Barron (Higher Education), Rafael Espinal (Consumer Affairs), Stephen Levin (General Services), Carlos Menchaca (Immigration) and Antonio Reynoso (Sanitation and Solid Waste Management) will all continue as chairs. And newcomers Justin Brannan (Contracts) and Alicka Ampry-Samuel (Public Housing), elected in November, will serve as chairs during their first term. All told, 11 of the 16 Brooklyn council members will chair committees. New chairs sounded a note of excitement for their positions. Espinal talked about plans for his revamped Consumer Affairs committee. “[W]e will now be looking into making it easier for small businesses to operate and thrive in our city,” he said. “I’m excited about the opportunity to take a holistic look at how we’re spending and what we can do better,” Brannan said. 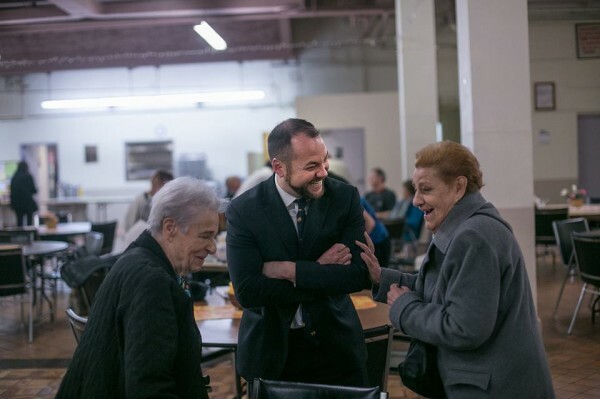 Despite the success of many Brooklyn members, politicians from other boroughs gained new footholds in the Council compared to the last term under former speaker Melissa Mark-Viverito. Earlier this month, Manhattanite Johnson bested a crowded field of eight speaker aspirants, becoming arguably the second most powerful figure in New York City politics behind the mayor. The field included three members from Brooklyn: councilman Robert Cornegy, councilman Jumaane Williams and late-comer councilwoman Inez Barron. Manhattan councilman Corey Johnson announced his choices for chairs of the Council’s many committees. Photo: Corey Johnson’s website. Johnson won the backing of Queens Democratic county leader Joseph Crowley and Bronx Democratic county leader Marcos Crespos, who reportedly put together a formidable coalition in support of Johnson. Lost in the mix was Brooklyn Democratic county leader Frank Seddio and Mayor Bill de Blasio, who counts the borough as his political base. In the last speaker’s race, Seddio and de Blasio, then newly elected, formed a winning coalition that involved the ascendant Progressive Caucus of the Council. The coalition put de Blasio’s choice for speaker, Melissa Mark-Viverito, over the top in that race. Mark-Viverito rewarded Brooklyn and her fellow Progressive Caucus members, such as Jumaane Williams and Brad Lander, with plum positions and influence in the chamber. 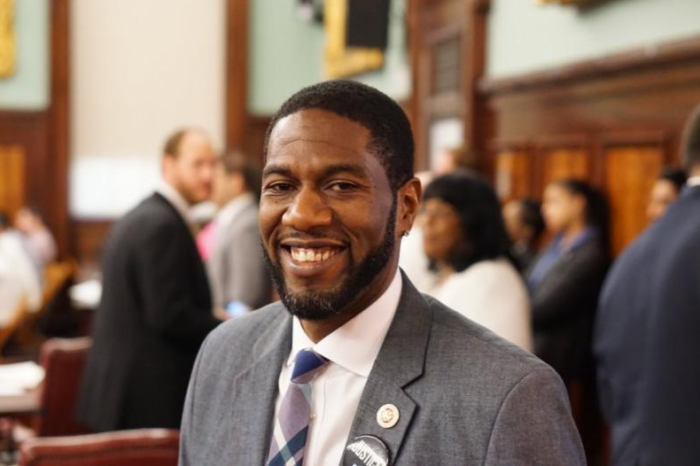 Brooklyn Councilman Jumaane Williams was shut out of a chair position for the new term. Photo: NYC Council. Williams and Lander were both left without committees to chair, though both will continue on the speaker’s leadership team. Williams was previously chair of the Housing and Buildings committee and Lander was chair of the Rules committee. Alan Maisel, who had served as chair of the Standards and Ethics committee, also lost his position. Republican Steven Matteo of Staten Island will now lead the committee. The council’s committees serve as a key structural element of the Council. Any piece of legislation introduced by a council member is put before a subcommittee or committee before it is taken up by the full Council for a vote. While the majority of council members are selected to chair committees, not all committees are created equal. The Land Use committee, widely regarded as one of the Council’s most powerful, reviews changes to the city’s zoning code and governs real estate development. The Finance committee is tasked with drafting the city’s multi-billion dollar annual budget. And the Rules committee sets the procedures and processes by which the Council operates. Bronx Councilman Rafael Salamanca, QueensCouncilmann Daniel Dromm and Queens Councilwoman Karen Koslowitz were chosen as chairs of those committees, respectively. The outsized role of the Queens and Bronx county organizations in the speaker’s race led to a weakened position for Brooklyn in the chair selection process. However, Johnson said he did his best to be fair. “I was as flexible as humanly possible to try to make everyone happy,” Johnson said. Count Brannan as one Brooklyn member who’s looking forward to working with Johnson. The Council’s complex web of allegiances and caucuses means a politician’s home borough is one of many political considerations. But borough representation in influential positions on the Council may shape future fights, like the 2020 mayoral race, in ways that are yet to be seen. See below for a list of Brooklyn council members who were named chairs of committees. The full list of appointments is available on the Council’s website. Was your council member named chair of a committee? Look up your council district here. Housing and Buildings – Robert Cornegy, Jr.